We are very excited to launch our Pumpkin Patch after hours event! You will be able to explore our floodlit pumpkin patch with thousands of pumpkins to choose from. You can pick your pumpkin and bring it into our carving marquee where we will have staff on hand to help. 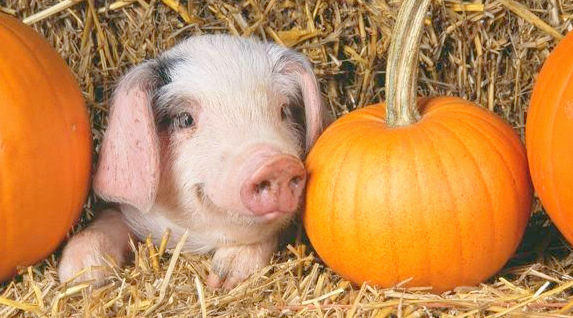 Best thing is you can leave all the smells and mess with us… Everyone gets a pumpkin! Get a tractor ride over the hill at night with a story teller on board telling spooky tails of the farm. Act like a big kid on our Barrel Rides. Grab something to eat in our Burger Barn as well as toast some marshmallows on our fire pits! Of course we will have lots of opportunities for cuddling…. with adorable ‘sniffer pups’ ,Rabbits, and chicks! We will also have a reptile experience where you can get hands on with some creepy snakes and lizards. Piggy Play Time will be running throughout the night in one of our big sheds… giving you the chance to get ‘hands on’ with our wee pigs! You will also get to hand feed our Rabbits, Goats, the ‘cutest sheep in the world’. Not to forget about Winston, Basil and the rest of our hilarious Alpacas! Couples, Students and Friends all welcome! Limited spaces available so book online today. All of this including your pumpkin for only £10! Friday 26th of October from 6.30 to 9.30pm. Previous Post Alpaca Walking In September! Next Post Santa Has Arrived!